The course will allow you to gain in-depth knowledge of the diverse field of performing arts medicine, with modules ranging from clinical assessment and rehabilitation of the performing artist, musculoskeletal and neuromuscular performance related injury to clinical management of the professional voice and performance psychology, to name a few. The specialised skills learnt during the can then be incorporated into an individual’s own professional practice. Or alternatively they can participate in performing arts clinics in settings such as conservatoires, orchestras, music or dance colleges. The programme also provides its students with broad knowledge of the art forms and their demands on the performer and how these impact on their wellbeing. The MSc in Performing Arts Medicine and BAPAM were well represented this month at the International Symposium in Performance Science (ISPS) in Reykjavik, Iceland, with research papers by Dr Trish Halliwell, Dr Philippa Whebble, Dr Farrah Jawad, Dr Hara Trouli, osteopath Tommi Sliiden and physiotherapists Kari Arnason, Lindsay Wallace and Krzystoff Dabrowski. Projects on flautists’ injuries, breathing relaxation for singers, vitamin D levels in dancers, health issues of popular musicians, lung function when singing and dancing, muscle injuries in string players, footwear and dancers’ injuries, and palmaris longus in pianists were received with great interest by the conference delegates. It is important to see such a group on the international arena of Performing Arts Medicine and we hope this will encourage more researchers to bring their work to this level. Congratulations to all involved! It is now possible to study for a Postgraduate Certificate (PG Cert), a Postgraduate Diploma (PG Dip) or a Masters (MSc) in Performing Arts Medicine at University College London. Study key areas of performance related musculoskeletal and neuromuscular injury, performance psychology, prescribed and non-prescribed medication, the disabled performer, travelling and touring, the science of dance and music performance and clinical management of the professional voice. If you’re interested, an Open Day will be held on Wednesday 13th April – 16:00 – 18:00. The main theme of the forthcoming BAPAM Training Day is Guitar Playing. This is a great opportunity to learn from peers, make connections and share unique insights. We’ll be joined by expert clinicians, researchers and professional guitarists to demonstrate playing and technique as well as join our Q&A panel. Dr Alan Watson, Reader in Anatomy, Cardiff University. Anatomy of the wrist, hand and fingers particularly in relation to guitar playing. Virginia Whiteley, Physiotherapist, Leeds. Guitarists’ musculoskeletal problems and their treatment. Dominique Royle, Physiotherapist, Cornwall. Self help strategies and injury prevention for guitarists. 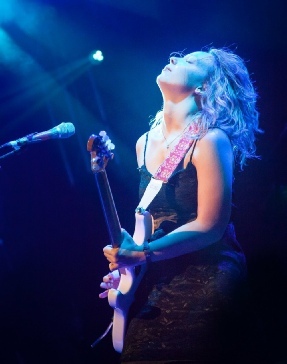 Chantel McGregor, Rock guitarist. Practical demonstration of guitar playing and technique. Closed session for BAPAM Clinicians (focus on Regional/AMABO doctors). Parellel session – Q&A with rock musicians on lifestyle issues. Research presentations from students completing the MSc in Performing Arts Medicine at UCL. If you prefer to book your place offline, please call us on 020 7404 5888.